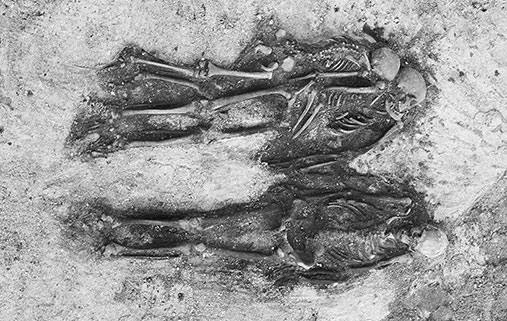 In 1975, three intact skeletons from the Iron Age were found on the Tommeide farm in Tomma. In the Viking era, a number of slaves were beheaded and then buried together with their masters. New metho...ds of skeleton analysis reveal more about the life of the poor more than a thousand years ago. How was life for common people in Norway during the period 400–1050 AD? Skeletons from a total of ten individuals were found at Flakstad. At least three of these, which were found in double and triple graves were headless. The isotope analyses, combined with analyses of ancient DNA, provide grounds to hypothesize that the headless skeletons were slaves who were decapitated before being buried along with their masters. This says a lot about the great differences between people in the society of the day. Life was undoubtedly difficult and brutal for the majority of people. Only a very few were privileged.